Every hundred years or so, we like to do something really crazy, really wild. Back in 1917, we formed a fire company. This year, 2017, we are celebrating by having a number of events. One of these events is our Centennial Poker Run. Join us for a ride that was a hundred years in the making! 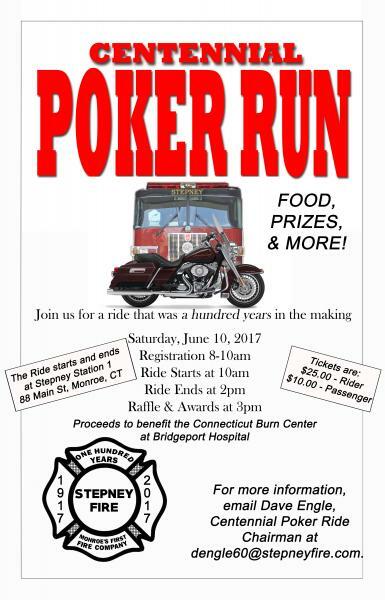 The ride starts and ends at Stepney Station 1, 88 Main Street, Monroe, CT, at 10:00 AM and ends at 2:00 PM. Food to be provided after the ride, raffle and awards to follow at 3:00 PM. Tickets are $25.00 - Rider and $10.00 - Passenger Registration is from 8-10:00 AM. Proceeds will benefit the Connecticut Burn Center at Bridgeport Hospital. 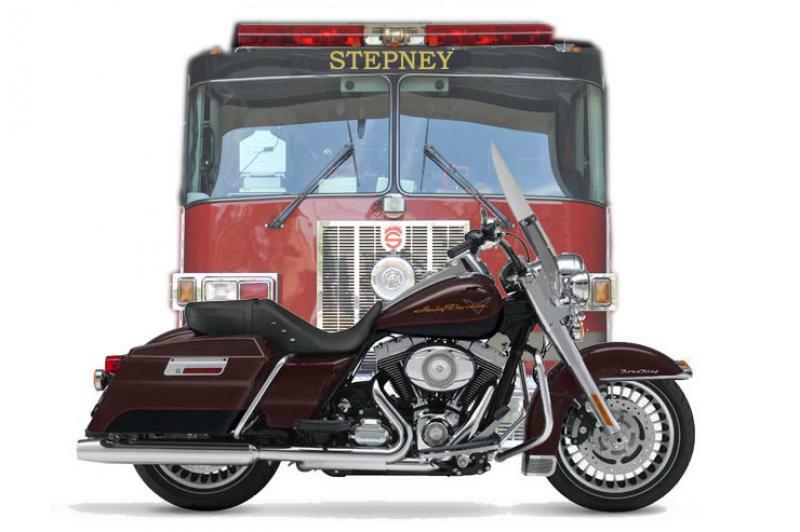 For information, email Dave Engle at dengle60@stepneyfire.com JOIN US!